The trailer of one of the most awaited biopics of the year, PM Narendra Modi, is finally out. 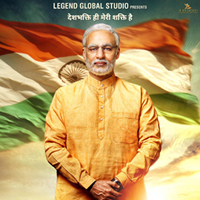 Based on Narendra Modi’s life, the film showcases different aspects of his journey to becoming the Indian Prime Minister. Omung Kumar, who made his directorial debut in Bollywood with another biopic Mary Kom, directed the film. The movie traces Narendra Modi journey from his humble beginnings in childhood, days of becoming a tea-seller, time at RSS, rise in politics, and road from being the Chief Minister to becoming the 14th Prime Minister of India. 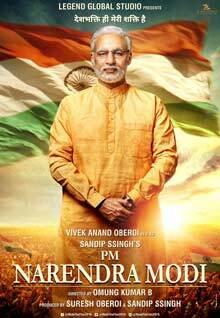 Vivek Oberoi plays the lead role of Narendra Modi. The film also stars Boman Irani, Manoj Joshi, Kishori Shahane, among others. Boman will be playing the role of Ratan Tata and Joshi will be seen as Modi’s right-hand man Amit Shah. The movie will also feature members of Modi family, including his mother Baa, played by actress Zarina Wahab. TV actress Barkha Bisht Sengupta will also be seen in the role of Jashodaben (Modi’s wife). The film trailer officially released on March 20, and the film will be in theatres on April 5. From new movies to fresh pairings, March has been quite a month for announcements in Bollywood. 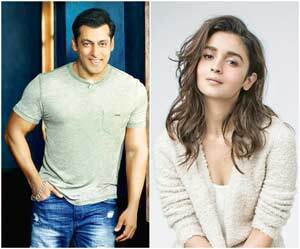 The biggest was made by actors Salman Khan and Alia Bhatt, who will come together in director Sanjay Leela Bhansali’s upcoming movie, Inshallah. The romantic comedy will be co-produced by Sanjay Leela Bhansali Productions and Salman Khan Films. Inshallah brings Bhansali and Salman back together after two decades. Their last film together was Hum Dil De Chuke Sanam in 1999. While not is known about the film as yet, it is expected to release on Eid 2020. Akshay Kumar is back on-screen with another tale of bravery and patriotism. Kesari is set against the backdrop of the Battle of Saragarhi, a stunning historical war of valor and freedom. Set in 1897, Kesari follows the events in the epic battle where 21 Sikh regiment soldiers of the British army fought against thousands of Afghans at the outpost of Saragarhi in the Khyber Pass. 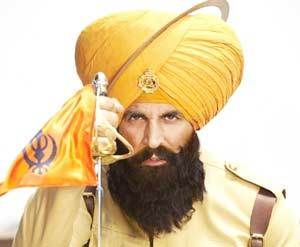 Akshay plays the lead role of Havildar Ishar Singh, the man who led the battle. The film is about his sacrifice and martyrdom. The movie is filled with a typical Akshay Kumar style of patriotic fervor, inspirational dialogue, and daring fight sequences. Kesari has received mixed reviews, but most critics and audiences have praised the film for bringing forth a lesser-told story of courage and nationalism. Along with Akshay, the film also stars Parineeti Chopra. Anurag Singh, who is well known for Punjabi films like Punjab 1984, Jatt and Juliet, and Yaar Annmulle, directed Kesari. Released on March 21, the film did well and had a strong box office opening due to its Holi release. 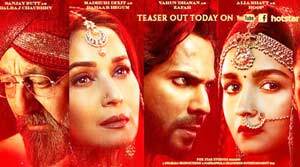 In early March, Bollywood fans were treated to a teaser of Abhishek Varman’s upcoming movie, Kalank. The film has been getting some buzz since the character posters were released on social media. The two-minute trailer left audiences intrigued and excited for the epic saga. Kalank is a period drama starring Madhuri Dixit, Sonakshi Sinha, Alia Bhatt, Varun Dhawan, Aditya Roy Kapur, and Sanjay Dutt. Karan Johar’s Dharma Productions and Fox Star Studios produced the film. Kalank is especially close to Johar’s heart as it was the last film he conceptualized along with his late father Yash Johar 15 years ago. Kalank is set in the 1940s, pre-independence India. The period saga is described as a thrilling tale of eternal love and turbulent relationships. The film looks into the lives of six main characters – Alia as Roop, Madhuri as Bahaar Begum, Varun as Zafar, Sonakshi as Satya Chaudhry, Aditya as Dev Chaudhry, and Sanjay as Balraj Chaudhry. This is Abhishek Varman’s second film. He made his Bollywood debut with 2 States, starring Alia Bhatt and Arjun Kapoor. Kalank will hit screens on April 17. After playing the role of historical freedom fighter Rani Lakshmi Bai in Manikarnika: The Queen of Jhansi, Kangana Ranaut will once again star in a biopic. Kangana will be portray the former Tamil Nadu chief minister J Jayalalithaa in the upcoming multilingual biopic Thalaivi. The film was officially announced on the actress’ 32nd birthday. The film will be directed by A. L. Vijay, who is well known in the Tamil industry. The biopic will be made in three languages- Hindi, Telugu, and Tamil. Kangana will begin shooting in April. Vijayendra Prasad, the writer of Baahubali and Bajrangi Bhaijaan, will monitor the film’s writing team. Composer GV Prakash has agreed to compose the music, and Nirav Shah will be its cinematographer. Kangana is currently riding high of the success wave of Manikarnika, which also marked her directorial debut in Bollywood. The actress will soon be seen on the big screen again in Mental Hai Kya, opposite Rajkummar Rao. Apart from the biopic, she is also working in a sports film, Panga, where she will play a kabaddi player.